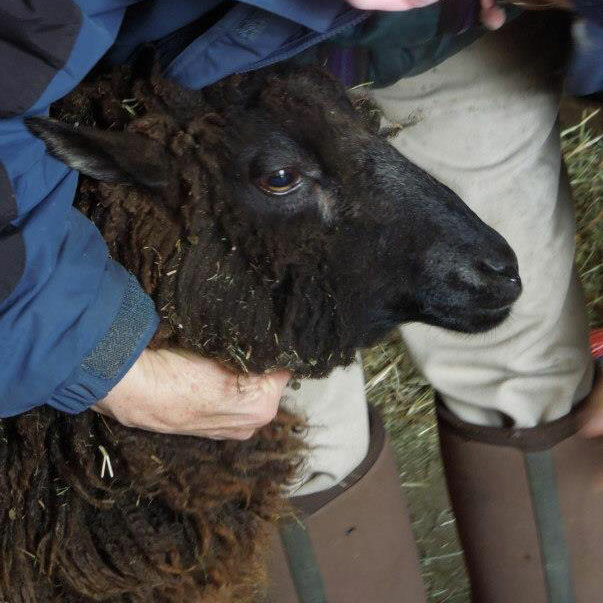 Meet Itty Bitty, a sheep from A Wrinkle in Thyme Farm in Sumner, ME. We are picking hay out of her fleece before she is shorn. 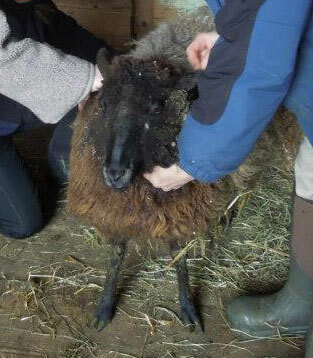 Her washed, beautifully naturally colored fleece. I'm combing it to make the fiber strands easier to spin. Fluffy fleece, ready for spinning. 2-ply, after wound into a hank and washed. Wound into a ball for easy knitting. This is the start of a sweater. I'm out of yarn… time to spin some more!